How many aircraft accidents would you say are the result of a pilot error? If you guessed more than 75 percent, give yourself a pat on the back. The fact is that if something goes wrong during your flight, there’s a good chance you will be the one at fault. Inclement weather and pilot overconfidence can be a recipe for disaster. Interestingly, thunderstorms, ice, and wind aren’t the only conditions that should give pilots reason for pause. If you aren’t familiar with flying on instruments and head into an area of clouds or fog, you could lose control and crash. Our advice? Take your preflight weather briefing seriously and err on the side of caution if the conditions seem dicey. Always remember that your passengers want to arrive at their destination safely. We have yet to meet a good pilot with poor communication skills. Whether it’s a conversation with air traffic control, your flight crew, or passengers, you must clearly decipher information and act quickly. As a new pilot, it would be better to over-communicate and ask for clarification than risk the alternative. Preflight inspections become second nature once you perform a few of them. That said, it’s never smart to rush through this ever-important task. Take your time as you look around for anything that doesn’t look right. Next comes the preflight planning. You’ll quickly find that the more seriously you take this responsibility, the smoother your flight will be. The last thing you want to do is overlook important details such as restrictions, inclement weather, weight, and balance. As a refresher, the letters stand for Illness, Medication, Stress, Alcohol, Fatigue, and Emotion. Pretty straightforward, right? If you don’t feel 100 percent, you shouldn’t attempt to operate an aircraft — period. There’s no question that pilots have one of the most demanding jobs in the world. Passengers are relying on your aviation expertise to get them from point A to point B without a hitch. Take it upon yourself to feel your best prior to heading in for work, even if that means making a few lifestyle changes. Check out one of our most recent posts, titled “Tips For Keeping Mentally And Physically Healthy During Pilot Training,” for more information. Seriously, this still happens from time to time. How exactly? Well, some pilots think of fuel in terms of distance if they determined the flight could be made with the amount of fuel currently on board. Here’s the thing: Fuel should always be thought of in terms of time. Do yourself (and your passengers) a favor and calculate how much fuel will be available once you’re airborne, in hours and minutes. We’re guessing you’d rather not make an emergency fuel stop because of poor fuel management. Want to know how to become a commercial airline pilot? Alliance Aviation has you covered with 737 Type Rating courses, ATP CTP training, and more. 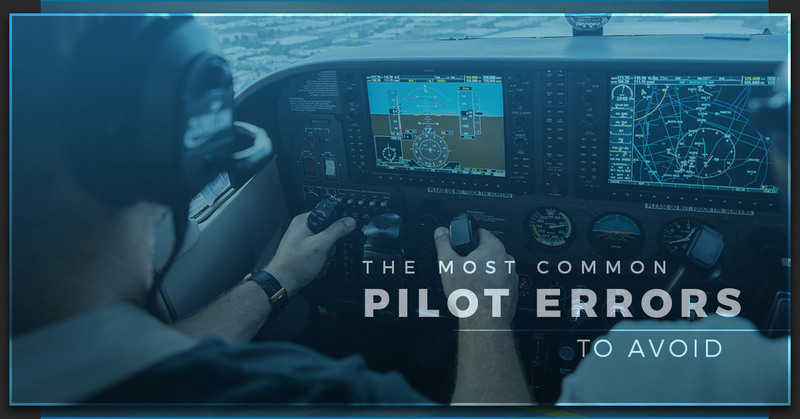 Take flight with your career and enroll in one of our many flight training programs.